London has a wealth of exceptional photography studios, and thousands of memorable backdrops to impress even the most discerning of lenses. We sent intrepid snapper Harriet Humphries to investigate some of the city's very best - all available to book through Hire Space. This 800 square foot open plan lifestyle studio is south westerly facing and floods with natural light. Dizzyfinch Studio epitomises ‘shabby chic’, combining a clean white space with industrialist era furnishings and rough wooden flooring. This studio 800 square foot studio comes equipped with a superb sound system, fully functioning kitchenette, bathroom and separate make-up area to ensure your event runs with ease. Dizzyfinch Studios is also host to a range of young, fresh and relevant workshops, such as studio lighting master classes. 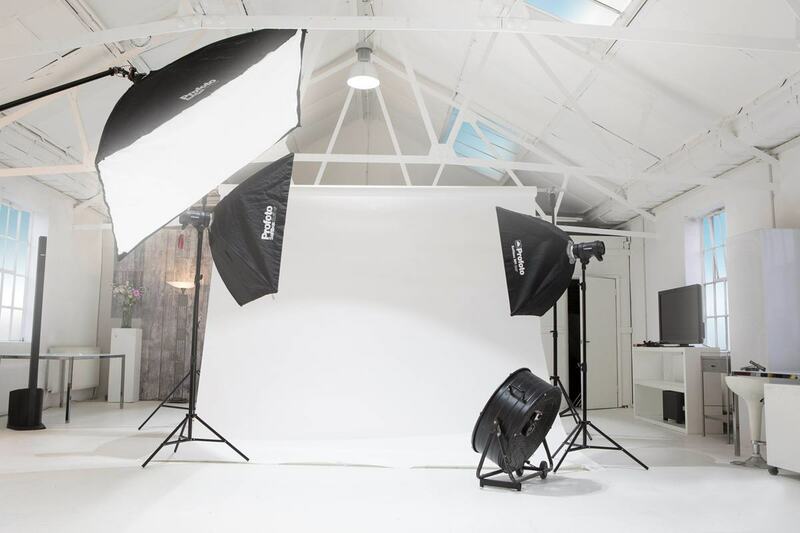 If you’re looking for a contemporary photographic studio in a prime location, look no further than Lumiere London. This superb venue is just a stone’s throw from London Bridge and a short walk from Borough station. Lumiere London comes with an experienced and reliable team that accommodate all kinds of photographic style. With copious experience in still life, fashion editorials and catalogue shoots the team will never let you down. Lumiere London has 130 square metres of space to work with, as well as high ceilings and skylights that allow for a total black out effect if desired. This is a hugely versatile space that is also available to hire for private functions and events. Based in the artistic heart of the East End, this unique space provides a neutral backdrop for any photography exhibition or event. The two contrasting studios have unlimited uses and are available to hire together or separately. 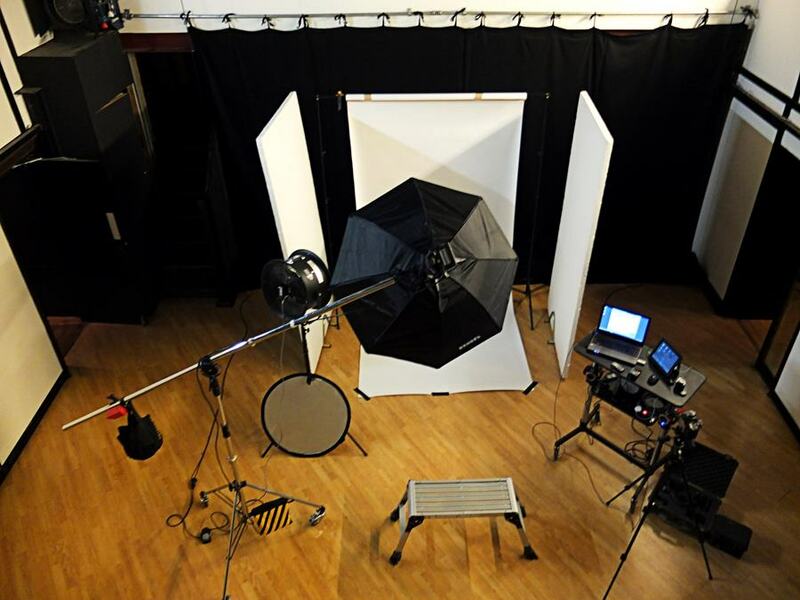 Studio East is a dark studio perfect for photographic and TV shoots, whilst Studio West is flooded with natural light. Even better, each studio comes equipped with changing rooms, a makeup area, toilets, showers, kitchen and wireless internet. All in all, the facilities are top class. If you didn’t think 4th Floor Studios could get any better, well to top it off their rooftop venue boasts electric views of London’s skyline. 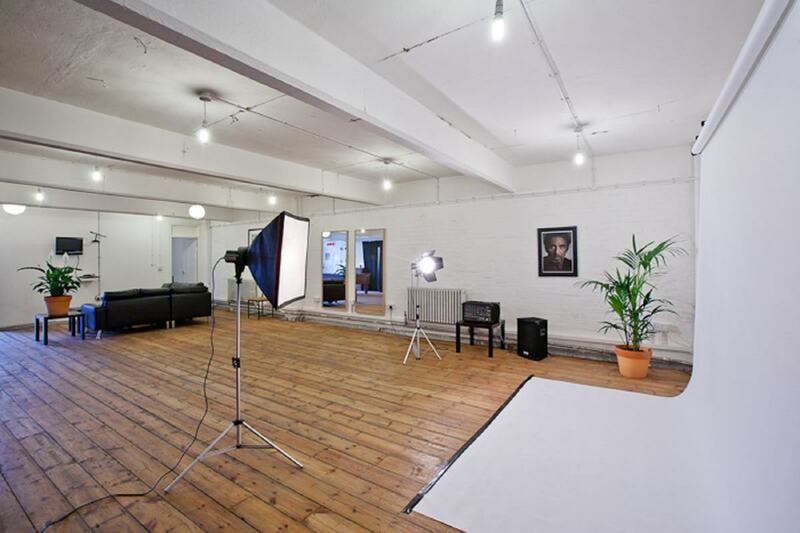 Previous clients at 4th Floor Studios have included the BBC, Grazia, The Guardian and Vogue. This is the ideal space to host a diverse range of activities, such as zumba and drama classes. Click here to find out more and book 4th Floor Studios for your private event. Ranked 5th out of 833 photography studios in the UK, Simulacra Studios is top of list for those in need of a high class, professional environment. With designated make up areas, a client mezzanine, spa shower and bar, the facilities are second to none. Recent clients, to name a few, include Ralph Lauren, The Times and Net-a-Porter. Located in a converted railway arch with high ceilings and exposed brickwork, this studio screams character. 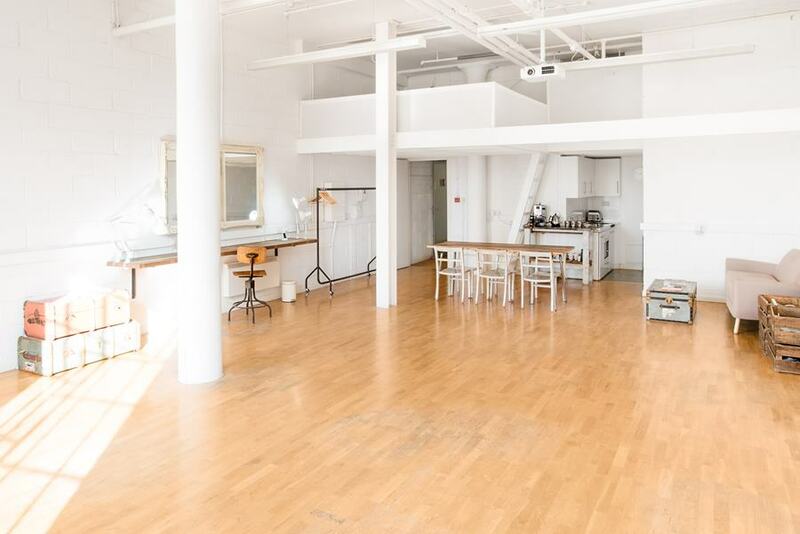 This inspiring split level space, with its high ceilings, skylights and industrial bay windows is certainly not one to lack natural light. 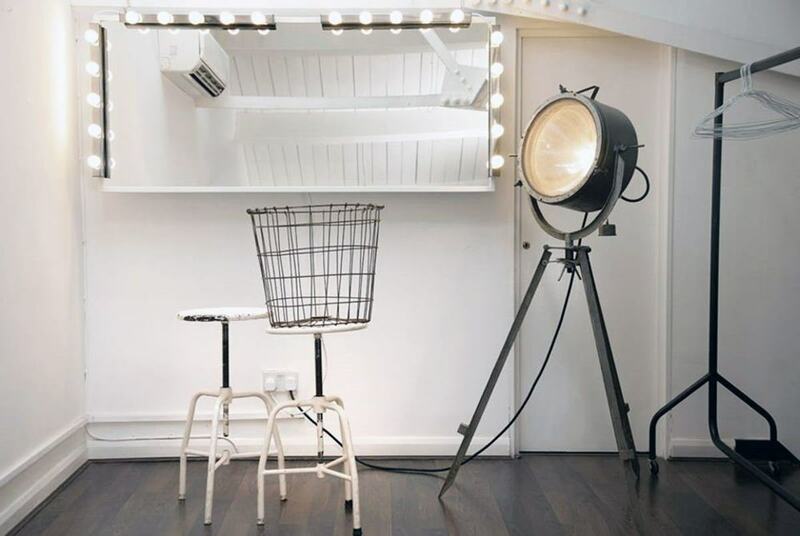 Espero Studio is equipped with a range of vintage and industrial props, making it a creative space for creative people. The space is around 565 square foot in size and its location in the heart of Brick Lane makes it easily accessible from Liverpool Street station. For those of you in search of flexible hours combined with affordable rates, look no further than Espero. Espero Studio is the ideal space for launches, talks, presentations and workshops. Thanks Harriet - top tips one and all. And if you don't find want you're looking for here, don't forget to check out our special photography space page. You're bound to find something you'll enjoy. See you next time!